For the Kentucky Derby attendances, the day can be long and exhausting. You will need more energy to witness your favorite racers at the court. 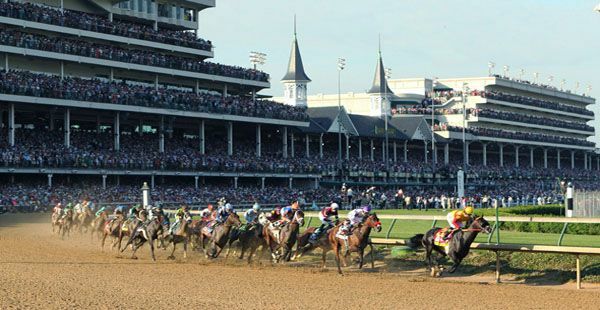 The Kentucky Derby Day at Churchill Downs will take place long before the main event happens. The gates will open at 8 a.m. that day. Don’t be surprised that there will be many people flock the place already. So, it is going to be a long day. And you will need plenty of fuel to make it to the end. For your essential information, Churchill Downs allows the outside food and drinks to enter. So, you can bring your meals from home. But if you want something in between, you can easily find the stalls which sell the box lunches to keep your energized. You can bring any food and drink that you want. But the officials have made it very clear that all the attendances should uphold the rules when entering the site. For instance, all the food items, including the boxed lunches should be inside the clear plastic backs. The officials even set the maximum size of the boxes you can bring to the place. The maximum size is 18 by 18 inches. You can’t use trash bags. The officials only allow you to carry two bags. It is limited to two bags per person. The soft drinks and water, or other liquids should be in the plastic bottles. So, you will want to make sure to bring the drinks that are inside the containers. You can’t get the alcoholic beverages in the site. The officials do not permit outside alcoholic beverages. That means you are not allowed to bring the coolers, cans, thermos, glasses, and grills. All of them are banned. There are many Kentucky Derby Box Lunches that you could visit. For instance, you could take your sandwich at Atlantic no.5. The place offers such a fantastic sandwich and chips for an affordable price. But you need to place the orders at least 24 hours in advance to get yours. The other favorite place is The Cafe which locates at 712 Brent St. It provides a sandwich, side, as well as a cookie for eleven bucks. Find the menu at the official site of The Cafe. If you can’t bring your grills, you can go to Checks BBQ and Blues. There are around seven types of lunch boxes that you can choose which include mouth-watering items like ribs, smoked brisket, and a half-pound burger. There are many other lunch boxes places you can check. Consider seeing the full information at the official site of the Kentucky Derby.